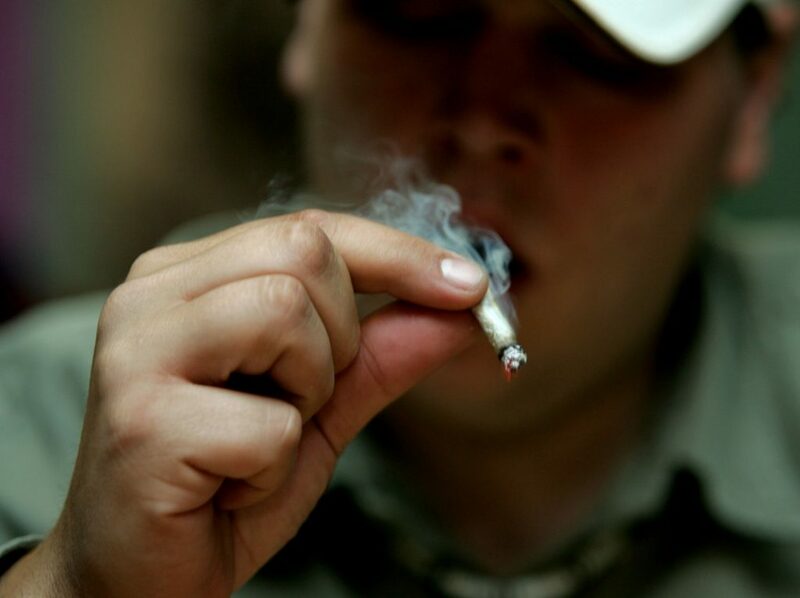 Researchers looked at the long-term exposure of marijuana on cognitive skills. Current users showed poorer cognitive ability across all the mediums the researchers tested. What was interesting is that among those who reported not using marijuana anymore, but used to, there was a pattern that suggested poorer verbal memory, which is the ability to remember words. For every five years of cumulative marijuana use (365 days of smoking pot x 5), one in two people on average remembered one word fewer out of a list of fifteen. The team performed a longitudinal study involving participants from the Coronary Artery Risk Development in Young Adults (CARDIA) study: a cohort of 5115 black and white men and women aged 18 to 30 years. The first survey was made in 1985 and a followup was made 25 years later. The participants were asked to perform a series of cognitive tests that looked at verbal memory, processing speed, and executive function. They were also asked if they smoke marijuana in the past month. Now in their 40s and 50s, only 11.6% reported they still smoked into middle age but 84.3% reported past use. After accounting for demographic factors, cardiovascular risk factors, tobacco smoking, use of alcohol and illicit drugs, physical activity and depression, the researchers found current users had worse verbal memory and processing speed. After excluding the current users, those who had a cumulative lifetime exposure to marijuana had a significantly worse verbal memory, despite having stopped smoking pot. There was no association found between processing speed or lower executive functions. “We found a dose-dependent independent association between cumulative lifetime exposure to marijuana and worsening verbal memory in middle age,” the researchers write in the paper published in JAMA Network. Previously, a study performed by researchers at UCLA and the University of Minnesoanalyzed results from two longitudinal studies of twins, with data from more than three thousand individuals from Southern California and Minnesota. Among the six IQ-related areas tested, the marijuana users performed worse in two respects – Vocabulary and Information – associated with “crystallized intelligence”, or the ability to use learned knowledge. However, even among those persons reporting heavy use there was no evidence that might imply a magnitude of IQ decline. Other studies, as well, report no relationship between prior heavy marijuana use and long-term cognitive impairment. The take-away: marijuana use doesn’t seem to be associated with long-term decline in IQ or cognitive impairment. This is no longer the case when discussing verbal memory, it seems, in middle-age past users. “The study did not measure use precisely, but the pattern of cannabis use that most often produces these type of effects is daily use over a decade or more,” said Wayne Hall, author of an accompanying editorial. He’s the director and inaugural chair of the Centre for Youth Substance Abuse Research at the University of Queensland in Herston, Australia. “Cannabis is a drug, and like all drugs it can harm some users when they use it in particular ways. This study adds to the substantial evidence that the daily use of cannabis over periods of years and decades can harm the mental and physical health of people who use it in this way,” he added. We’re not sure yet how marijuana use affects verbal memory. It may be the case that THC — the main psychoactive active ingredient in cannabis — affects how information is being processed in the hippocampus, or the memory center of the brain. It’s not unlikely that marijuana doesn’t do anything to verbal memory either, considering several limitations of the present study: self-reported marijuana use and only one cognitive testing, at the end of the study. “Ultimately, this study’s findings are consistent with the notion that while cannabis is not altogether harmless, its potential risks to health relative to other substances — including legal substances like alcohol, tobacco and prescription medications — are not so great to warrant its continued criminalization,” Paul Armentano, deputy director of NORML, the Washington D.C.-based marijuana legalization advocacy group. “By any rational assessment, the continued criminalization of cannabis is a disproportionate public policy response to behavior that is, at worst, a public health concern. But it should not be a criminal justice matter. These findings do little, if anything, to change this fact,” Armentano added.